Joel Ponton was born on 3 July 1802 in Lovington, Amherst County, Virginia. He married Sarah Ann Reavis on 5 January 1827 in Cooper County, Missouri. Joel Ponton became a widower at the 31 August 1837 death of his wife Sarah Ann Reavis. He married Rhoda Delaney on 23 March 1839 in Republic of Texas. Joel Ponton became a widower at the 5 March 1850 death of his wife Rhoda Delaney. Joel Ponton and Mary Henderson appeared in the US federal census of 1 June 1850 in Lavaca County, Texas. Other members of the household included David Barton Ponton, Joseph Parthenias Ponton, Joel E. Ponton Jr., Alexander Campbell Ponton, Martha Ponton and Ellen Maude Ponton. He married Mary Henderson on 11 July 1850 in Lavaca County, Texas, with David Wallace officiating. Joel Ponton and Mary Henderson appeared in the US federal census of 1 June 1860 in Hallettsville PO, Lavaca County, Texas, enumerated a few households from the Koonce family.. Other members of the household included Joel E. Ponton Jr., Alexander Campbell Ponton, Martha Ponton, Ellen Maude Ponton, Sarah Ponton, James Thomas Ponton, Laura Anne Ponton and John Ponton. Joel Ponton became a widower at the 17 August 1868 death of his wife Mary Henderson. He married Mary A. (?) on 27 January 1869 in Lavaca County, Texas, with James Ballard officiating. Joel Ponton and Mary A. (?) appeared in the US federal census of 1 June 1870 in Lavaca County, Texas. Other members of the household included Sarah Ponton, James Thomas Ponton, Laura Anne Ponton, John Ponton, Lena Ponton, Henry Henderson Ponton and Victor Hugo Ponton. 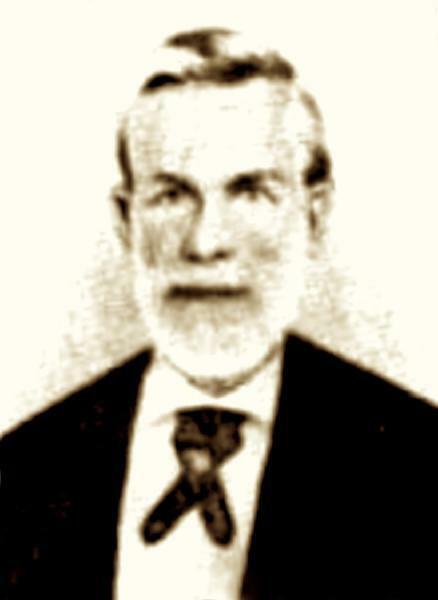 He married Harriet Newell Melton, daughter of Michael Hendrick Melton and Rachael Cockrum, on 8 October 1871 in Lavaca County, Texas, and Harriet's daughters Elizabeth and Winifred married sons of Joel Ponton. Joel Ponton died on 2 February 1875 at age 72 in Lavaca County, Texas. His wife Harriet Newell Melton became a widow at his death. He was interred at the Koonce-Ponton Cemetery, Ezzell, Lavaca County, Texas. Joel Ponton. Joel Ponton was both medical doctor and a minister of the Disciples of Christ Church. He married Sara Reavis in Cooper Co, Missouri, on 5 January 1827 where they had children Andrew Judson (born 4 August 1829; died 12 January 1908, buried Junction, Kimble County, Texas), William Lee (married Lutilia Ezzell 1856) and Jemima Jane (married Thomas L. Hunt 1848). After arrival in Gonzales, a fourth David Barton (married Lemelia Lay) was born 30 April 1834. On 31 March 1837, another son, Joseph Parthenias (married Eliza Jane Bownds), was born in Columbus on the way back to the Gonzales area after their flight to East Texas. Wife and mother Sara Reavis Ponton died 31 August 1837 in Gonzales. On 28 March 1839, Dr. Ponton married Rhoda Delaney who adopted his children and bore more children Joel (born 1842), Alexander (born 1843), Martha and Ellen (and probably more) while Ponton ministered both to the physical and spiritual illnesses of his clients. Records indicate that he commonly applied steam and lobelia treatment, steam to cause sweating and lobelia (Indian tobacco) as an emetic. As a doctor, Ponton was in large demand and widely respected in the community, he had a large practice kept busy by the hazards of pioneer life. It is unclear if Dr. & Reverend Ponton practiced his spiritual ministry in the colony prior to independence. However, afterwards he was an enthusiastic minister in the early Church of Christ and established at least two congregations on the Rio Navidad in 1841-1842. In early Texas days, both of his ministeries combined could not support the large family. Ponton supported his family by as a rancher and farmer and also served the public in civil capacities. In spring 1839 after attending the death of his sister Mary Jane Ponton Patrick in San Felipe and the settlement of the William Ponton estate among the children, Ponton established his homestead on the Navidad River. On the way to the homestead on the Navidad, he purchased a 45-year-old slave named Squire from James Campbell near Hallettsville. Both of Dr. Ponton's ministeries kept him on the road between homesteads and settlements, most frequently to Gonzales town. On 5 August 1840, he and Tucker Foley while on the way to Gonzales from their Navidad River homestead were attacked by a band of 27 Comanches on their way to the great raid on the coast at Linnville. Dr. Ponton survived, but companion Foley did not. On 5 March 1850, wife Rhoda Delaney Ponton died leaving him a 48-year-old widower with 11 dependent children. On 11 July 1850, he married 18-year-old Mary Henderson, one of six children of James and Lucinda Henderson from Water Hole Branch on the Lyons League about 12 miles south of Hallettsville. Joel and Mary Ponton settled near Hallettsville and had eight more children, Sarah, James, Alice, Laura, John, Lena, Henry and Victor Hugo. Upon the death of his brother Andrew Ponton in 1850, Joel Ponton became the administrator of his estate by will of widow Mary H. Berry Ponton. After Andrew's widow Mary H. Ponton married Dr. Daniel C. Bellows in Dec 1850, the couple challenged Joel Ponton's position as administrator of the Andrew Ponton estate and he was removed, but after Ponton had established home tracts and slaves Austin and Elvira as property of the children of Andrew Ponton. The Bellows became owners of the Hicks Hotel and Tavern in Hallettsville, renamed it The Mansion House and after financial difficulties with it, Mary H. Berry Ponton Bellows died in December 1856 and Bellows moved out of the area. In 1857, Joel Ponton was re-established as guardian of the Andrew Ponton minor hiers and estate. He was forced to sell Austin for $157 and Elvira for $800 and tracts of land to support his nephews. When the Civil War came, Dr. Joel Ponton supported the cause of the south without wavering and continued to do so after Lee's surrender. Prior to "Yankee Rule" in Lavaca County, Ponton served as deputy county clerk Josiah Dowling, he tried without success to obtain office under reconstruction and was elected county judge in 1866 when open polls were restored. However, he was removed from office by Federal authorities. He became again deputy county clerk under Josiah Dowling through March 1869. As county clerk and local minister, Ponton took care of both the civil and ceremonial formalities of marriages in the area. Wife Mary Henderson Ponton died on 17 August 1868 and Dr. Ponton married for the fourth time, Mrs. M. A. Beedle, by minister James Ballard. She died on 31 March 1871. In the same year Joel Ponton married Mrs. Harriet W. Koonce, mother of a daughter-in-law Elizabeth Koonce Mayo Ponton [and also daughter-in-law Winifred Pauline Koonce Best Ponton] . On 1 February 1875 five times married DeWitt Colony pioneer doctor, minister, rancher and farmer Dr. Joel Ponton died with his large family in attendance. He is said to be buried on the Koonce tract of land near the Kent homestead on the Andrew Kent league in a location known as Ezzell, established by Sam and Ira Ezzell. Some small editorial liberties have been taken here, with punctuation and expansion of abbreviations to enhance readability, and some additional information enclosed in square brackets. For additional biographical information, see The Handbook of Texas Online..